Clinical interests: Laparoscopic (keyhole) abdominal surgery, management of gallstone disease and gastro-oesophageal reflux. 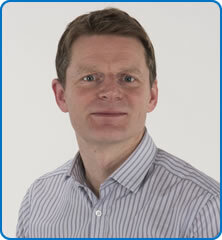 Mr James Hewes completed his undergraduate training at the University of Sheffield in 1995. Following a year in Australia, he finished his surgical training in London and the South East. His MD thesis on liver surgery was at the Royal Free Hospital. His specialist interest is in laparoscopic (keyhole) abdominal surgery, in particular the management of gallstone disease and gastro-oesophageal reflux. He is also a fully trained Bariatric (weight loss) surgeon having completed a fellowship at University College Hospital, London. He offers a range of Bariatric operations including gastric band, gastric bypass and sleeve gastrectomy as well as revision operations within the team at NBT.